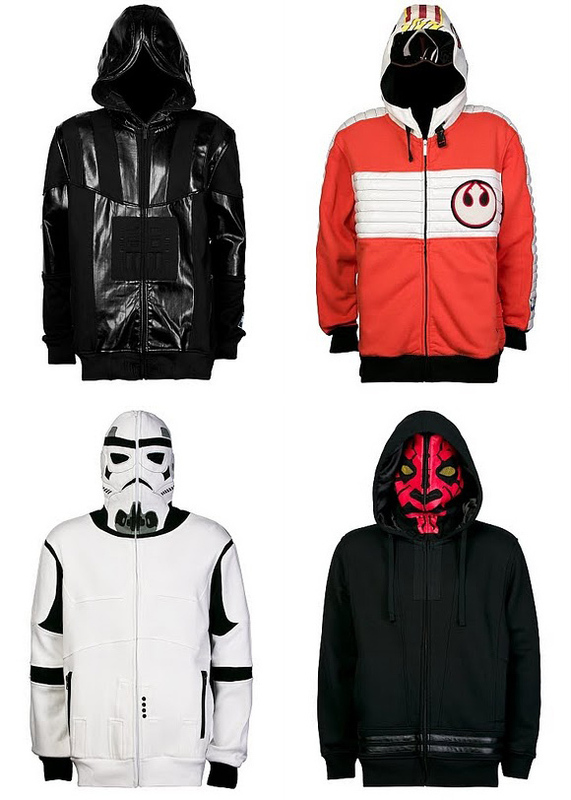 From Star Wars to DC Comics and McQ™, we’ve handpicked the coolest man-made hoodies you will ever see — kitty-made are on a whole different level. 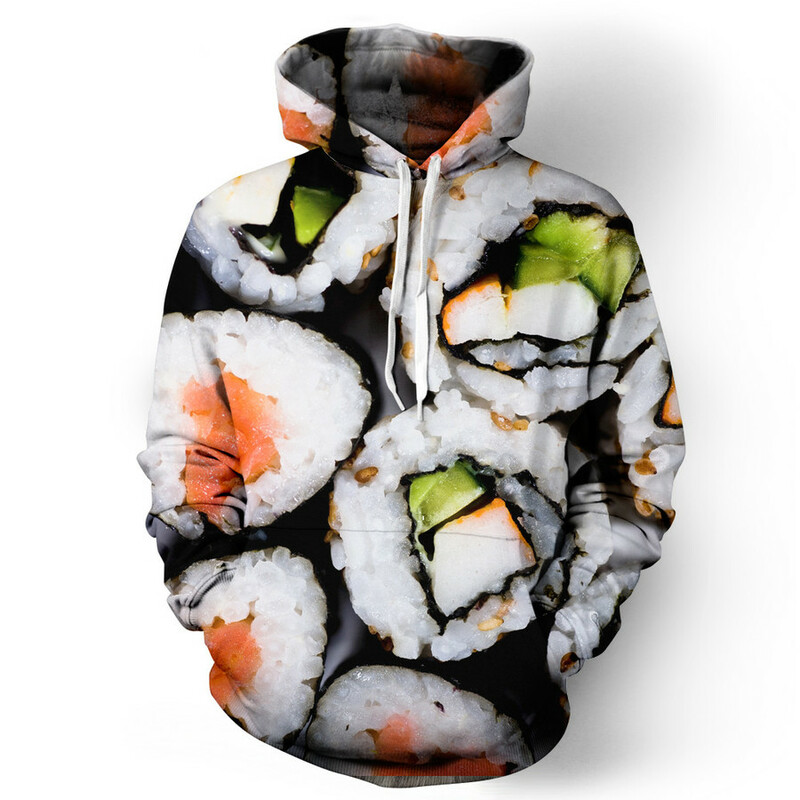 It is a fact that here at Printsome we love to customise apparel such as printed hoodies and T-shirts, but when it comes to creativity (due to the technical limitations of bulk orders) printing techniques can only get you so far. This is why we love it when designers get crafty with their garments. After some lengthy research, we’ve selected a bunch of cool designs from around the Internet and put them together for your enjoyment. The collection stretches from comic books and video games, going through high fashion like Alexander McQueen, to garments inspired by kitties – and, of course, geeky stuff from Star Wars and our favourite Star Trek Vulcan salute couldn’t miss. Make sure you stay away from your credit card during the next five minutes. Enjoy! 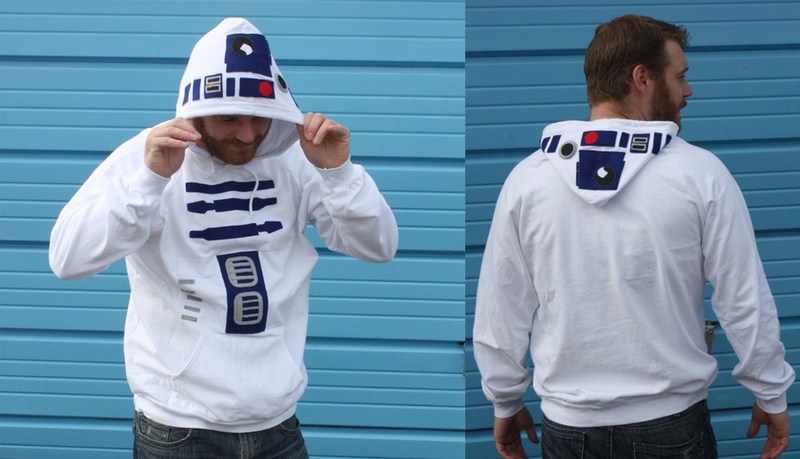 What’s cool about this hoodie is not only its creative printing position but how discreet it is. Merchandise inspired by big movies and TV shows tend to be loud, covered in logos and bright colours — this is why this garment is a nice change. Creating something so subtle is a double edged sword, on one hand, the loyal fans will appreciate it, while on the other, there’s a risk that regular folk won’t recognise it. A perfect gift for a nostalgic gamer. 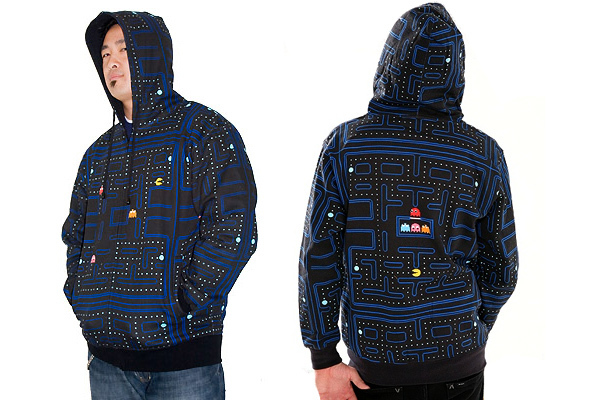 This all-over printed hoodie by Hot Topic features the entire map of the first Pac-Man game for your viewing pleasure. Personally speaking, I don’t understand how someone would want to stick their heads inside a shark — even if it’s a fake one. 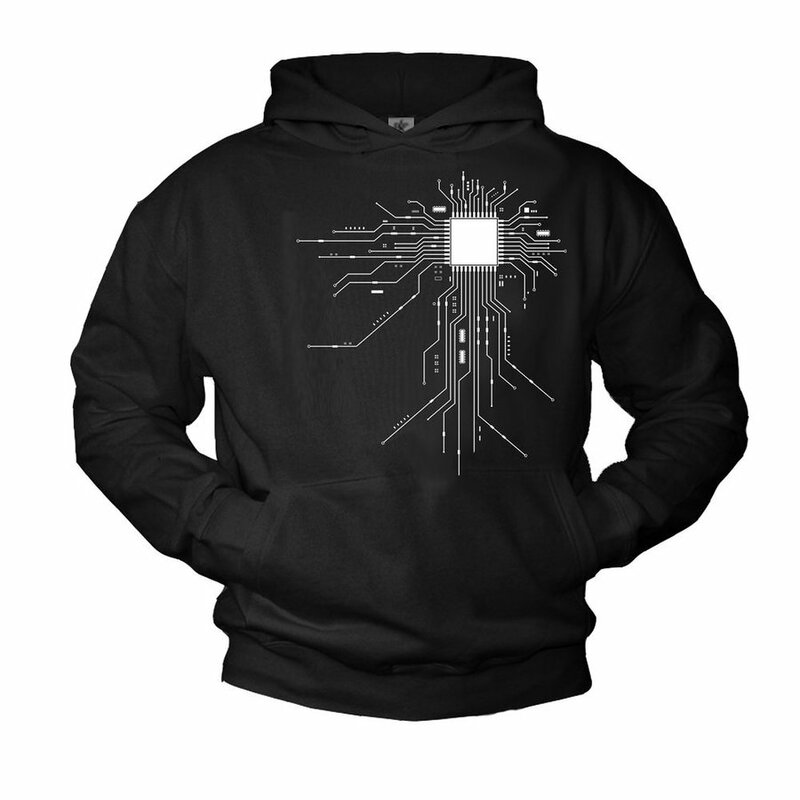 Still, it is a pretty inventive garment and one that would make a great Secret Santa gift. Another one for gamers, this time around inspired by a more contemporary brand. 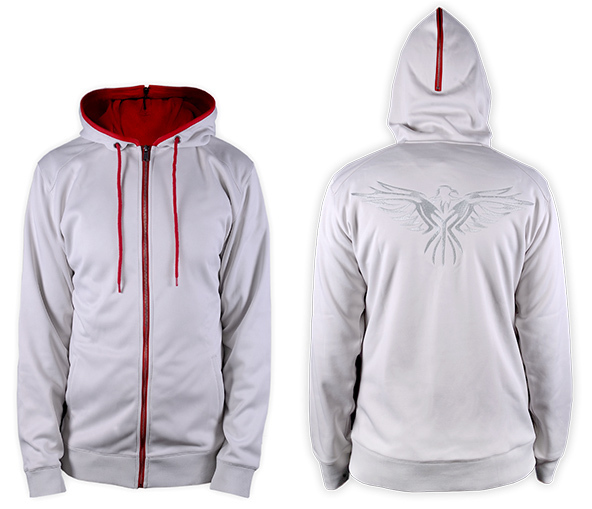 These Assassin Creed’s hoodies will surely delight any fan. 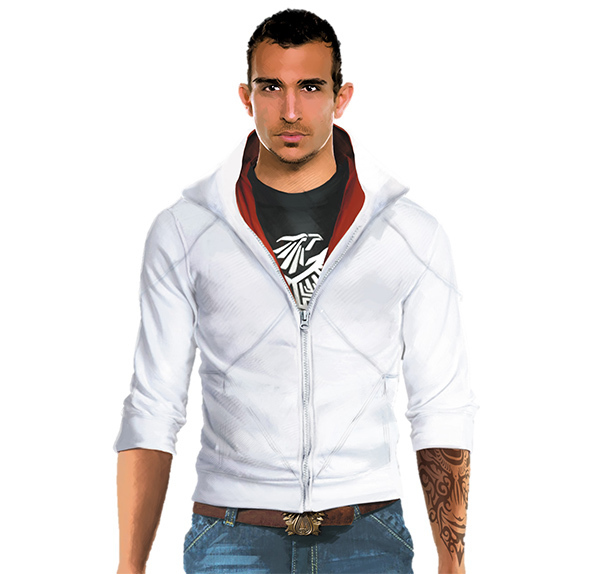 Especially the one that replicates Desmond Miles’ jacket. Not to be confused with the musician Joe Brown, Joe Browns is a fashion retailer which designs apparel for both men and women. These particular examples have a vintage vibe to them. While not official merchandise, this garment still seems to have come out of the official Game of Thrones souvenir shop. 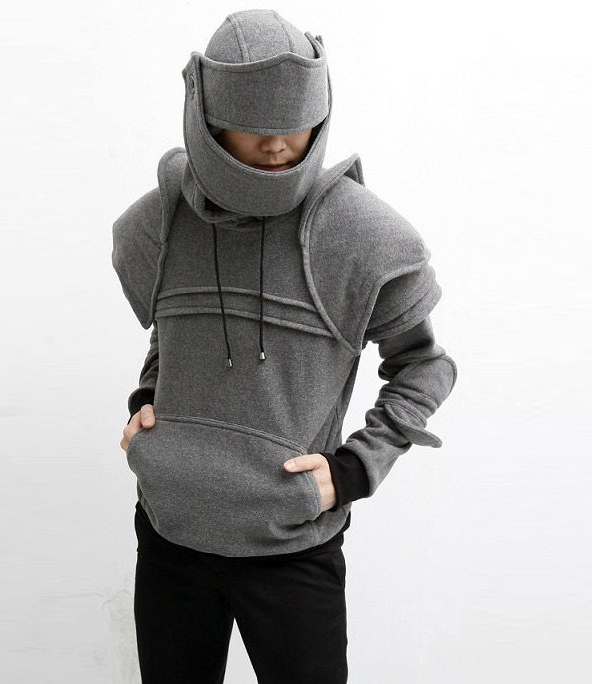 This hand-made hoodie replicates a medieval knight’s armour. Sure to become the topic of conversation wherever it goes. Not for the faint of heart — definitely. Inspired by the carcas of a boar, LRG brings us this brow-raising garment that will surely get in touch with your wild side whenever you wear it. Fan of DC comics? Then look no further! 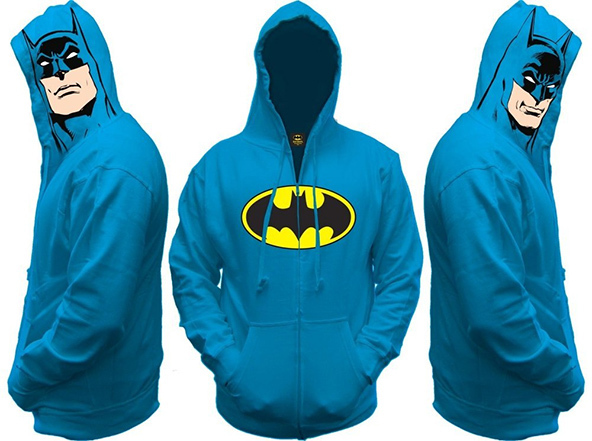 You can turn into either Flash, Batman, Superman or even the Joker while wearing one of these garments. 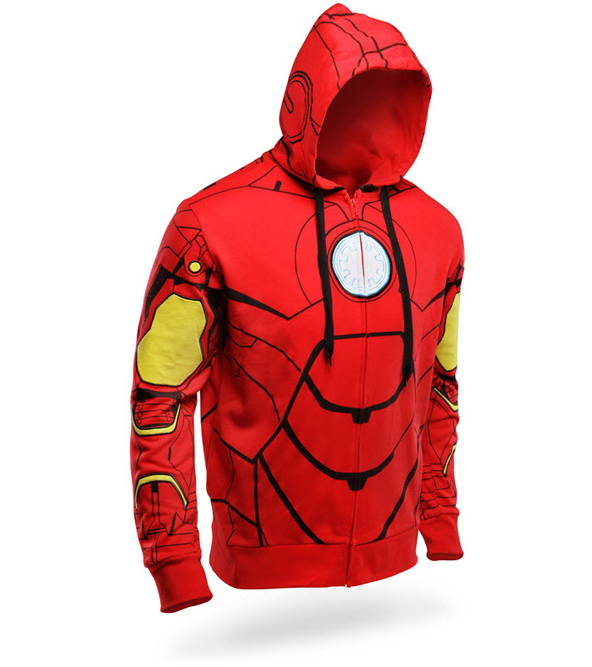 I particularly enjoy the detail of the character’s face printed on the sides of the hoodie. It’s not something you see every day. 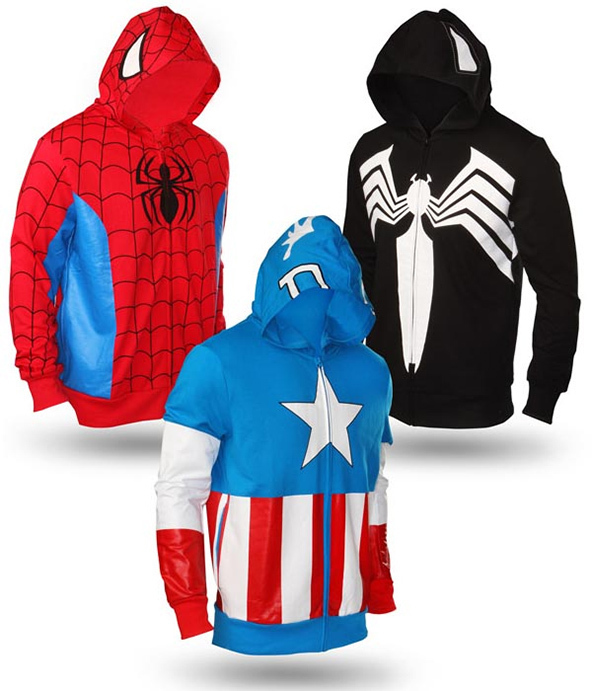 Or maybe you’re more of a Marvel superhero fan? Whichever your choice, you’re sure to be covered thanks to the options that are out there. 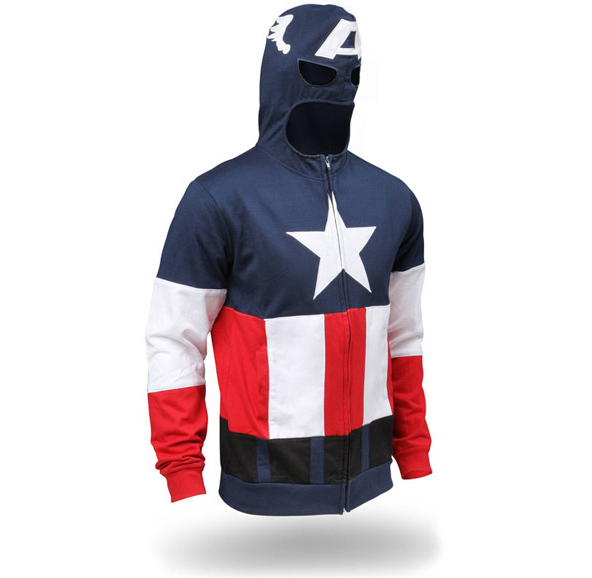 It’s worth noting how the Captain America design is inspired by the vintage version of the superhero instead of the contemporary one. 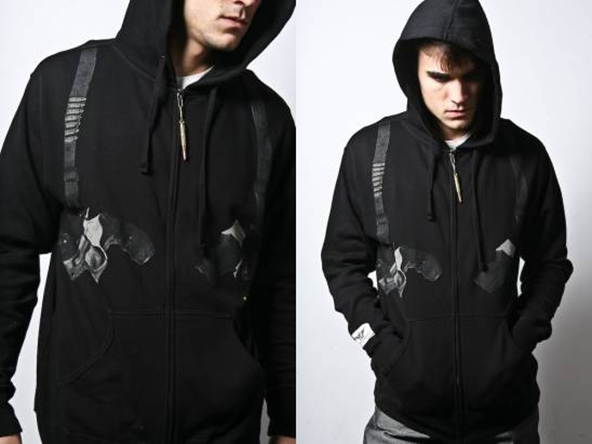 This hoodie is part of McQ, the streetwear line of the British brand named after the late designer Alexander McQueen. While still expensive, it is a good alternative for those who may not be able to pay the full price of the main line. Another one that will surely raise a few eyebrows. Just make sure you don’t wear it to the airport. 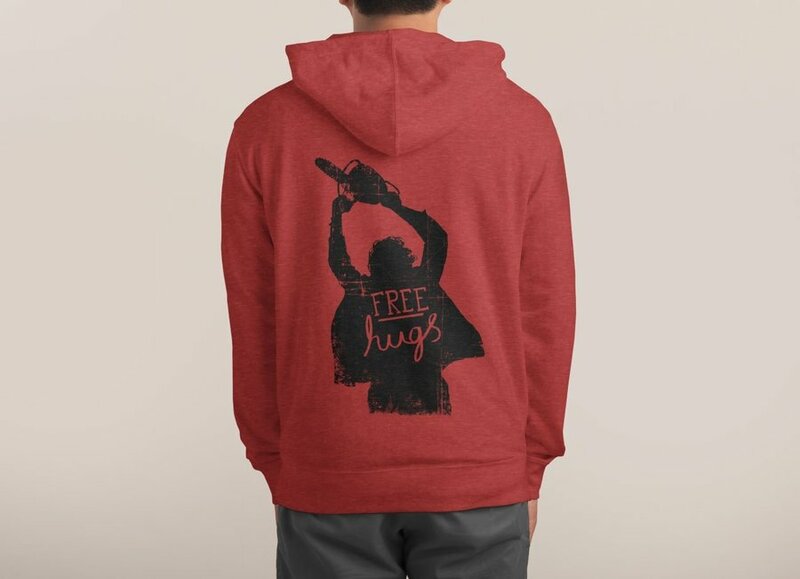 Fan of free hugs? Not this kind, I hope. If you want to add a little sense of humour to your wardrobe, a cheeky print like this one could do the trick. 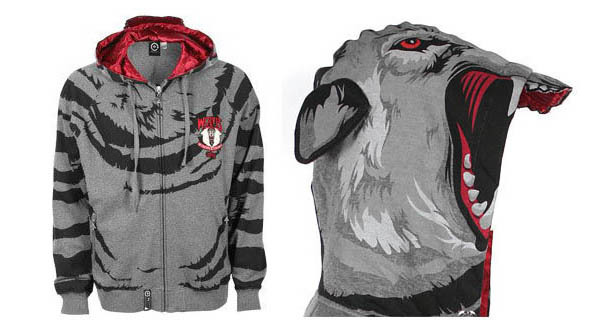 Show off your love for Pokémon with this all-over print hoodie. 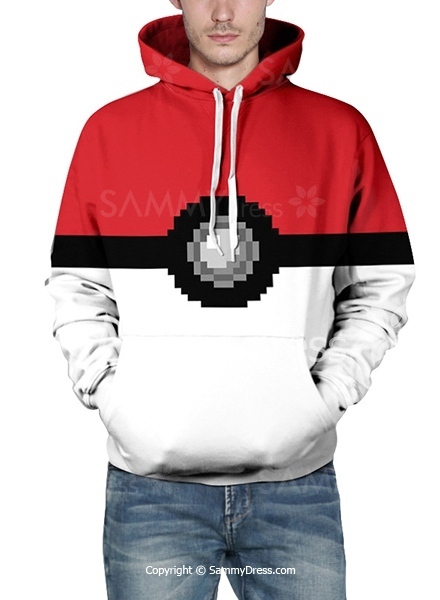 Gotta catch all them hoodies!? Another Star Trek design. This particular design is less subtle than the first, but still cool nonetheless. 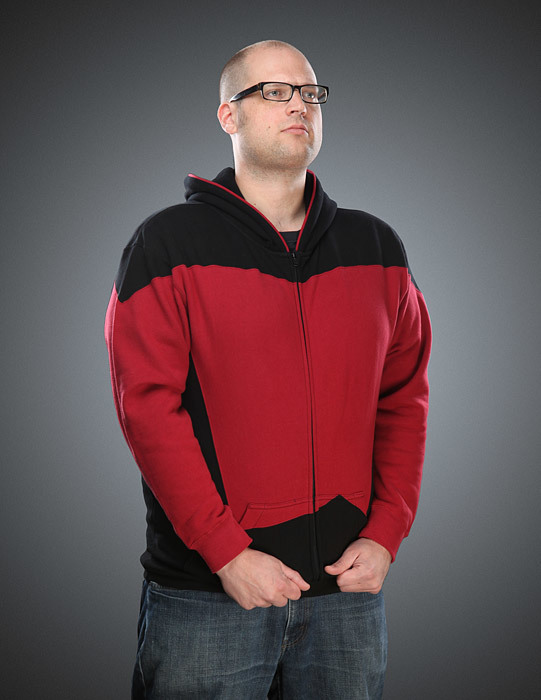 This garment would be a perfect gift for those who dream of travelling in the USS Enterprise. 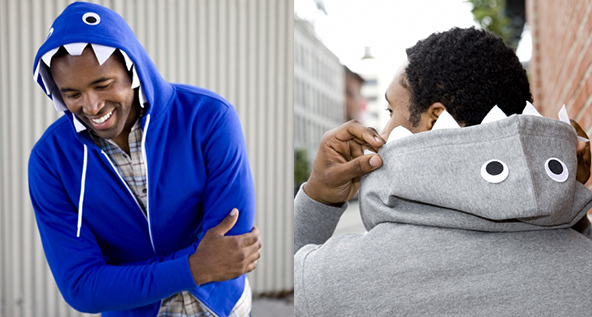 Note: Learn about the history of the hoodie in the UK with this infographic. 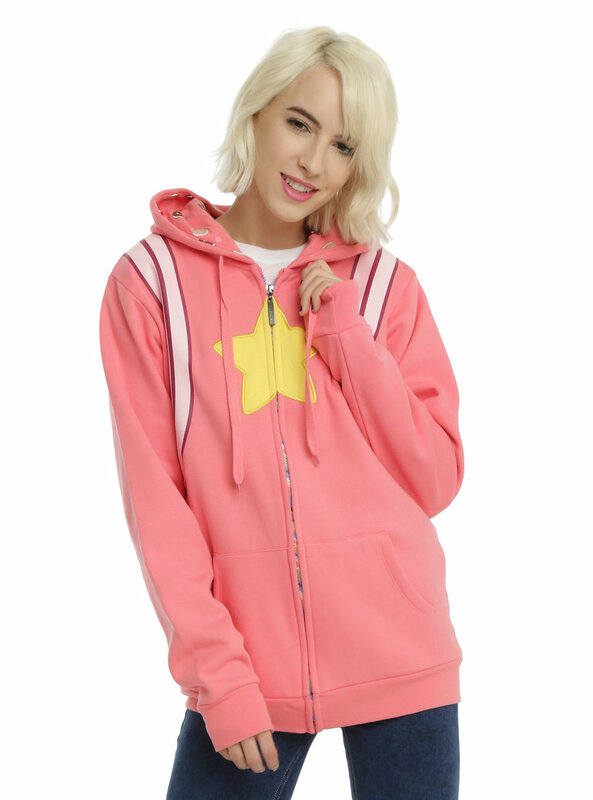 It’s a hoodie! It’s a shirt! No, it’s both! 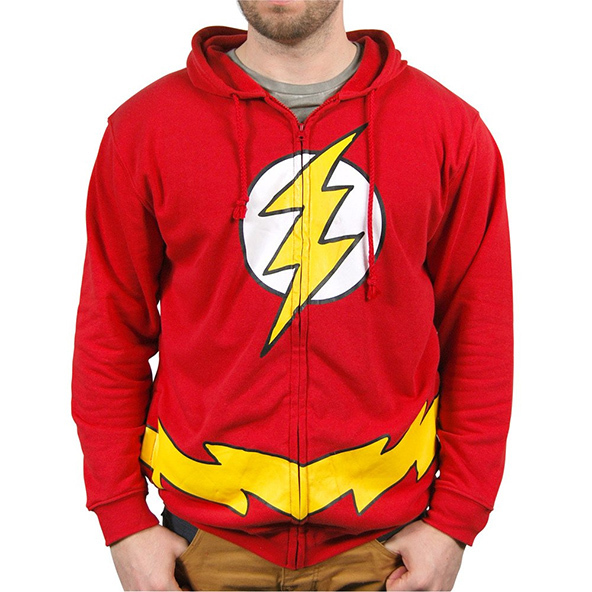 Don’t know what to wear on casual Fridays? Look no further! 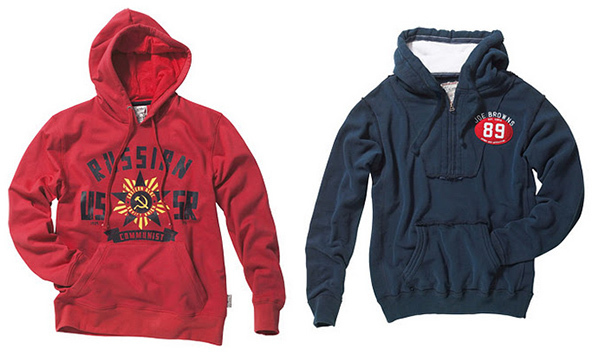 Not all hoodies need to have long sleeves. On top of being short-sleeved, this garment features an ethical pattern which makes it stand out from the rest. 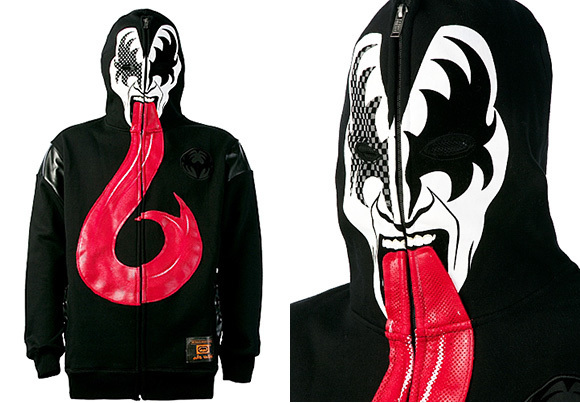 Not only has this hoodie been decorated with Gene Simmons’ infamous tongue, but it also features a zipper that closes the garment entirely so you can completely become Kiss’ front man. Machine’s hearts may be hand-made, but they still got one. This particular print reminds me a bit of The Matrix or something that might have come out of a cyberpunk novel. 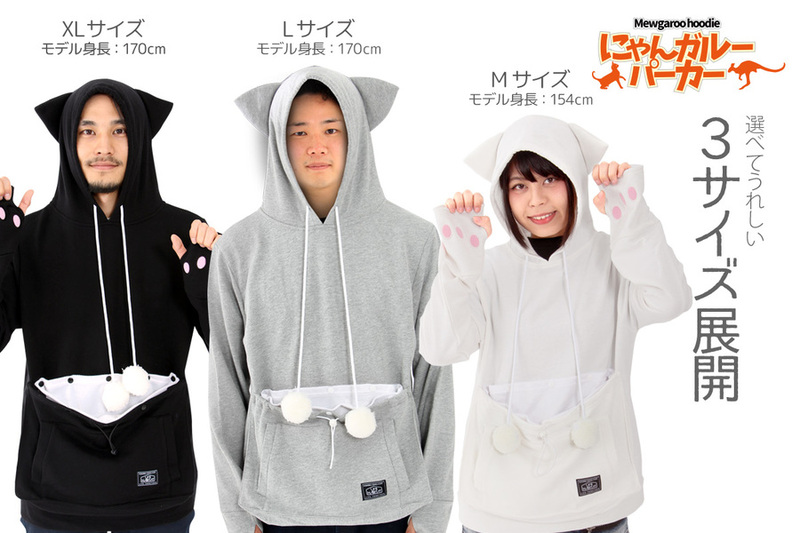 Japanese brand Unhabitant has designed the perfect hoodie for every otaku-cat-lover out there. 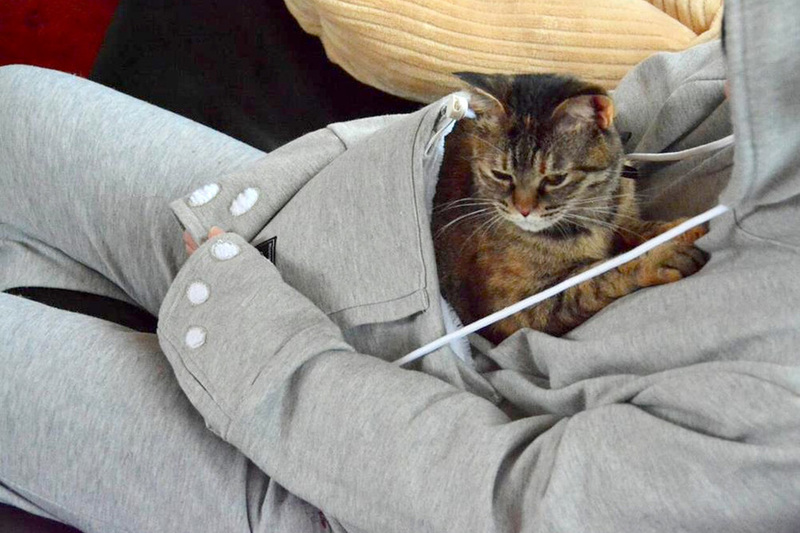 Not only does it showcase ears and printed paws, but also a special pocket to carry your furry friend like a kangaroo. Kawaii! 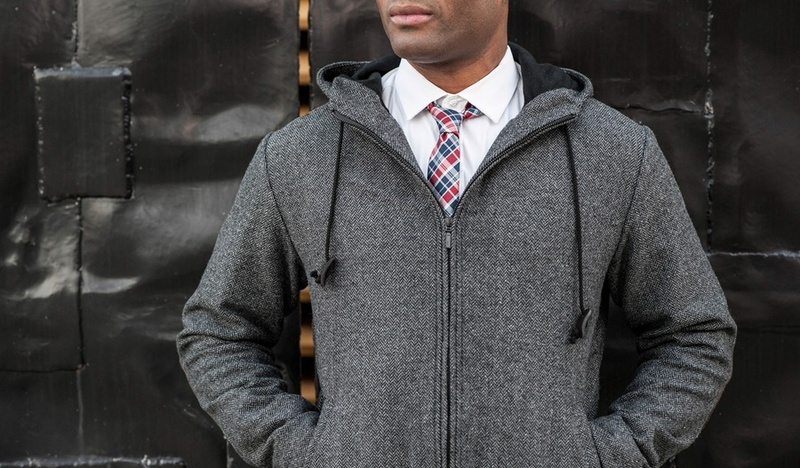 Not quite a jumper and not quite a blazer either, the grey academic hoodie sits comfortably somewhere between the two. 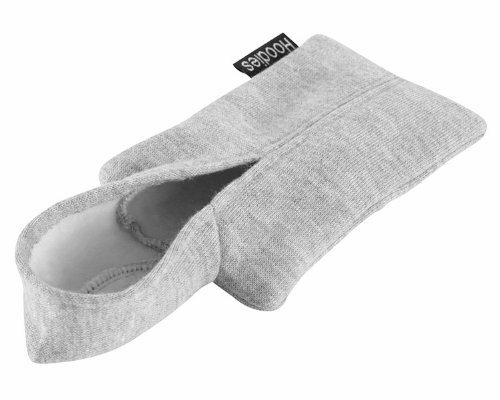 Thanks to its understated elegance, it makes it another great option for a casual Friday. 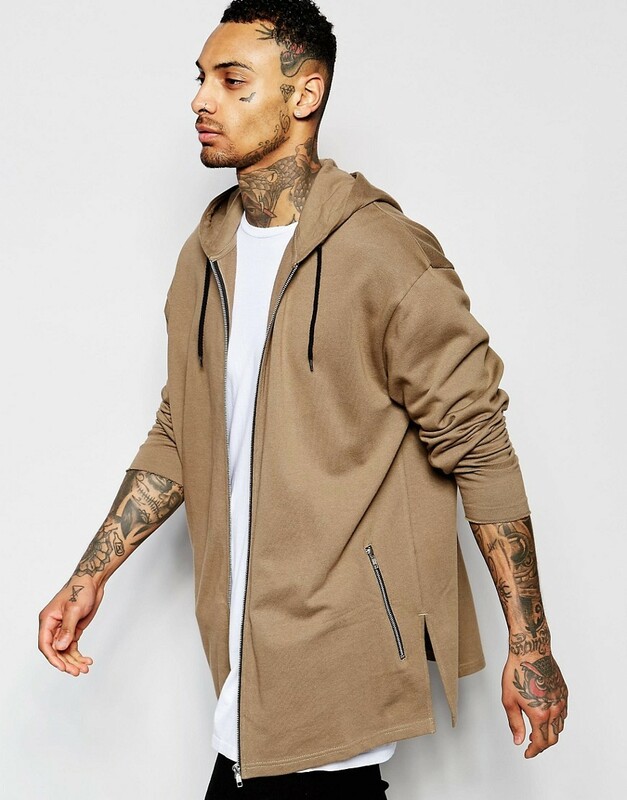 This garment designed by ASOS is a great example of the recent trend called Athleisure (no, I know it seems like it, but I did not make up that word) which basically mixes athletic wear with more elegant pieces. 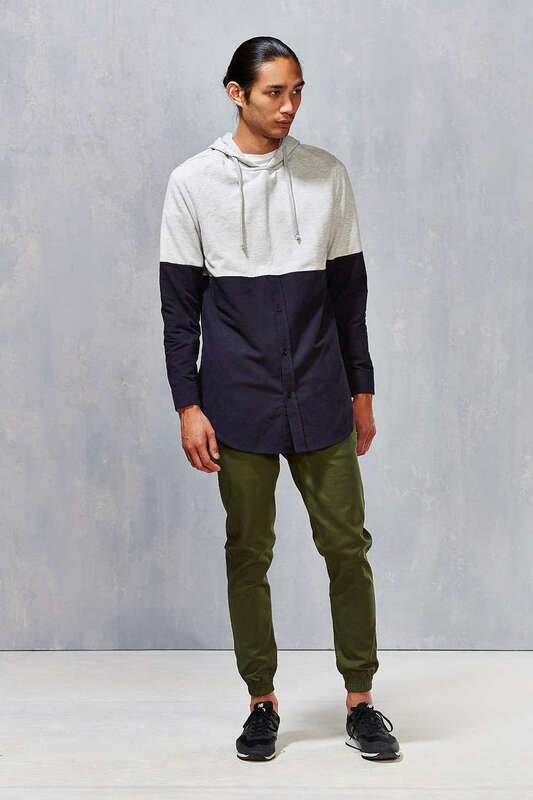 Another example of a recent trend by ASOS. 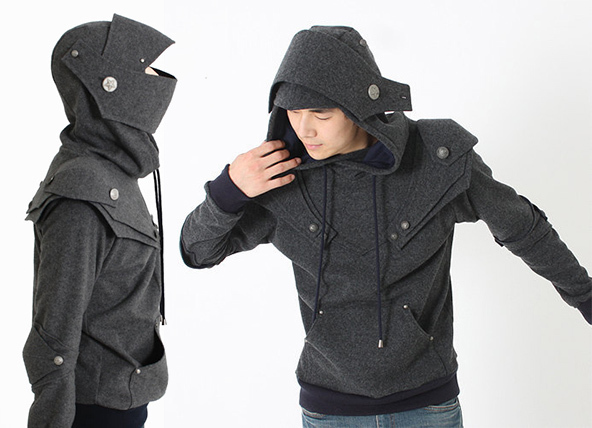 This time around it is a kimono style hoodie with geometrically shaped sleeves. 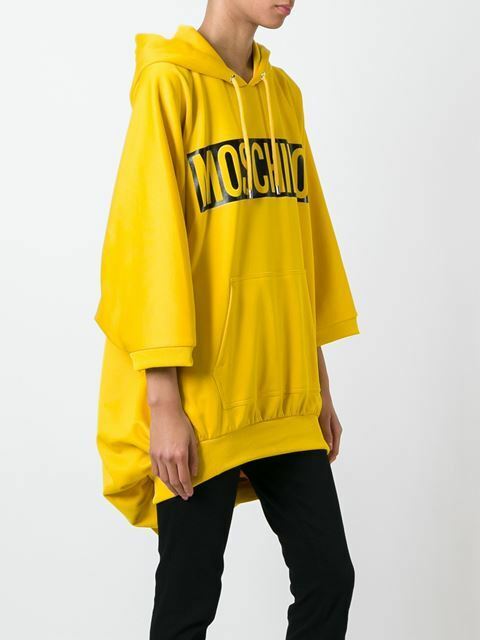 Staying true to their vision, Moschino presents this oversized, canary yellow hoodie for those wanting to make a statement. For some reason I picture a Kardashian wearing this with a pair of Ugg boots and sunglasses while going for a Starbucks. 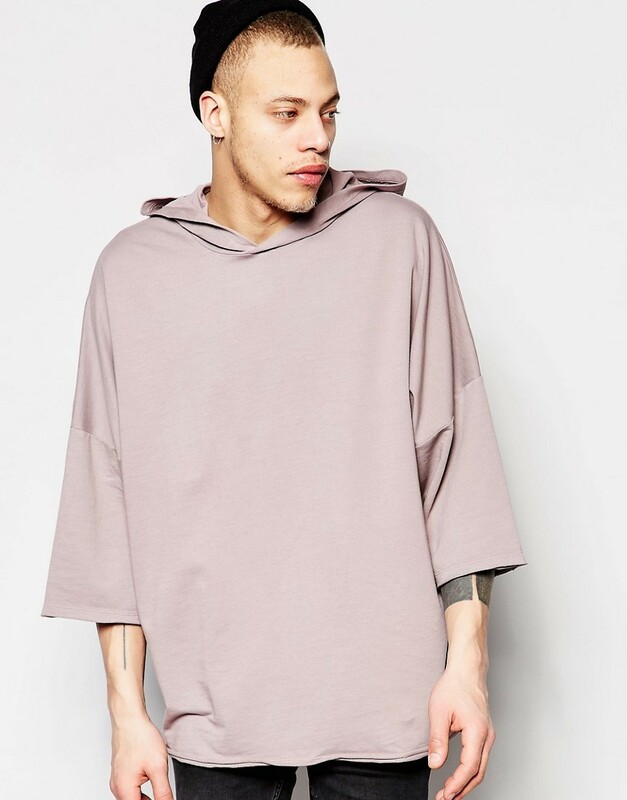 We brought you the hoodie/shirt and now we introduce the hoodie/blouse. 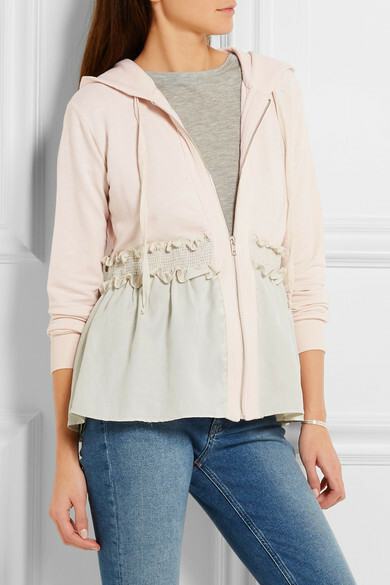 This top has been embellished with cotton ruffles to make it look more girly. 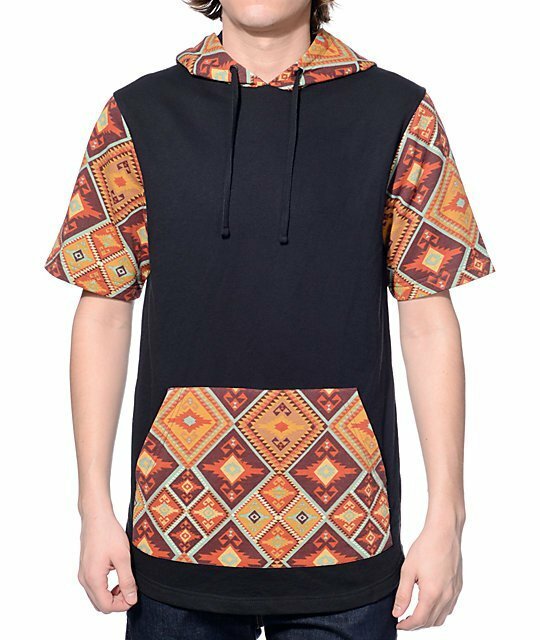 Beloved Shirts, the brand behind this hoodie, is known for their crazy all-over prints and this garment is a perfect example. Caution: do not wear around hungry people. 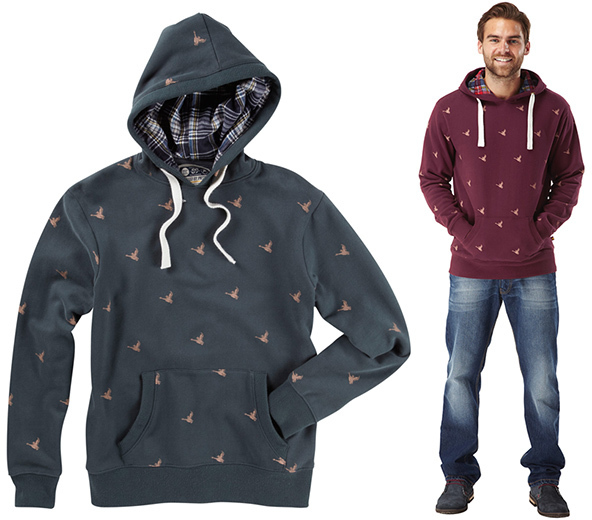 The idea for this apparel line was born as a response to the Knight Armour Hoodie we featured earlier on this list. 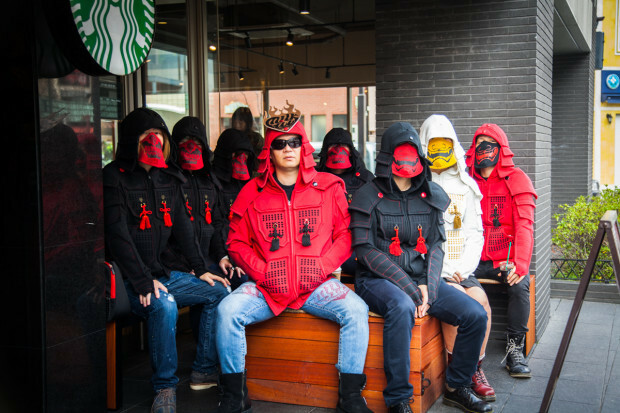 The garments feature incredible details that replicate the ancient Samurai getup in a contemporary fashion. 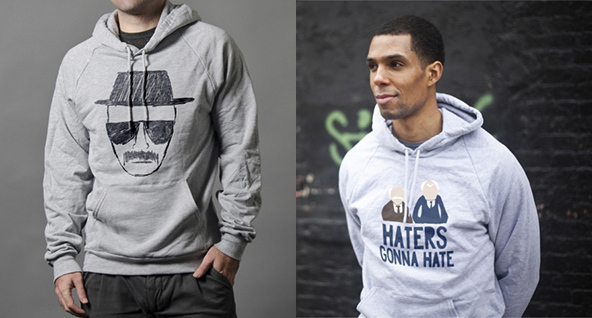 We’ve seen quite a few hoodies inspired by fictional characters on this list, but until now no cartoon had been featured. Followed by kids and adults alike, Steven Universe is not just another Cartoon Network show, it has become a small TV phenomenon. 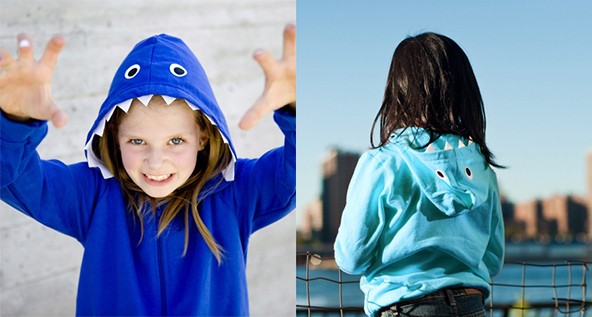 Garments such as these can be worn by both genders of all ages. 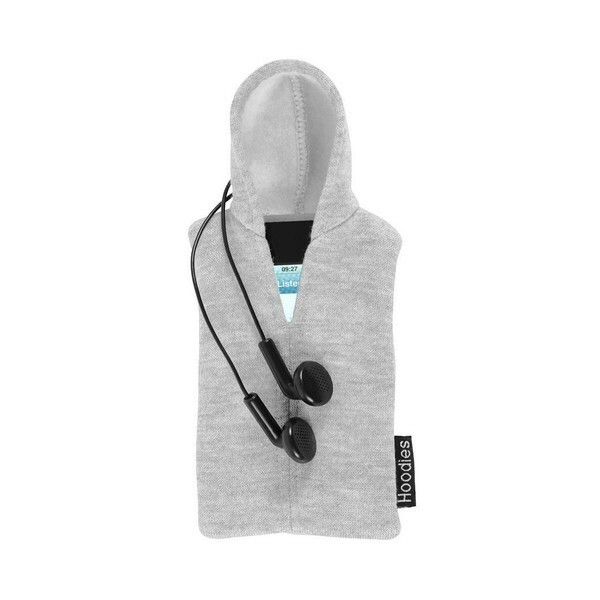 Even though iPods are becoming increasingly rare, there are still fans of the portable media player out there, and for them, they have designed this cute little hoodie. I reckon it might still work for iPhones and other smartphones. Make sure you check the sizes before ordering! So, which is your favourite one? Leave us a comment below.